As "Breaking Bad" fans look forward to the final two episodes of the series, they should also re-program their DVRs. Both the September 22 episode, "Granite State," and the September 29 episode, "Felina," will run longer than 60 minutes. "Breaking Bad" writer/producer Peter Gould tweeted Wednesday that he "checked and its official: #BreakingBad eps are 75 minutes each w/commercials. Set your DVRS accordingly." Or, of course, fans could watch live - and they may want to, considering the way the Web has been particularly spoiler-heavy during the show's final stretch. Sunday's episode, "Ozymandias," has been picked apart online as viewers scramble to digest what's become of Bryan Cranston's meth kingpin Walter White. As The Hollywood Reporter incredulously asked, "How can one man have become so evil, so cold-blooded?" If you don't watch the show, the astonished praise could seem outlandish and unwarranted. But let's take a look at the bigger picture for a moment, as we march toward "Breaking Bad's" conclusion: It's not just about how creator Vince Gilligan has made great TV, but what the impact of his drama will be. As Forbes' Allen St. John proposes, "Ozymandias" - and, fingers crossed, the last episodes to come - "will set the bar for the next generation of content creators, showing them what’s possible and daring them to do even better. ... It matters because television finally has a great drama that makes no excuses." Gilligan's gut-wrenching drama is often called the equivalent of the Great American Novel, with the exception being that it's "come to your flat screen" instead of your local bookstore, Forbes writes. 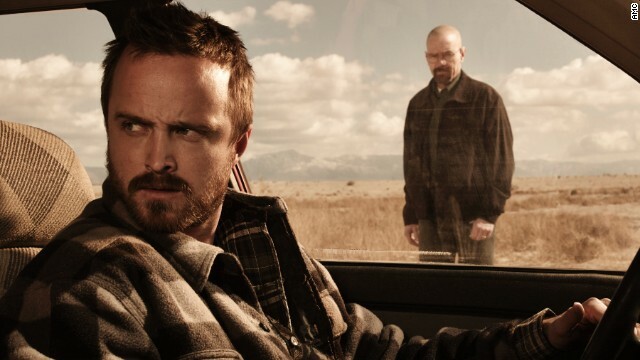 "By saving its best for last, 'Breaking Bad' is quietly pushing the boundaries of this evolving genre." If you've yet to get hooked on the series, it's not too late: binge-watching is always an option. Yes, Ive heard of "The Wire" and it was my fav show of all time until Breaking Bad took the throne! I've heard of the Wire and yes it was a great show, but it cannot touch BB. Thank god for Breaking Bad. Let's hope that this IS the beginning of a new era for television series. Usually TV series have played it too safe and treated the audience like id-iots. BB is intellectual, well written, well shot and well acted. It is more epic than the X Files in the 90's and I hope it will influence others to lift their game. I haven't seen the Wire. Isn't it like a political drama cop show like 24? Our daily cheat-sheet for breaking celebrity news, Hollywood buzz and your pop-culture obsessions. donald paul on Kanye West: What's the Illuminati?